With our dedicated quality and inspection team at Benthams we offer many different inspection services. 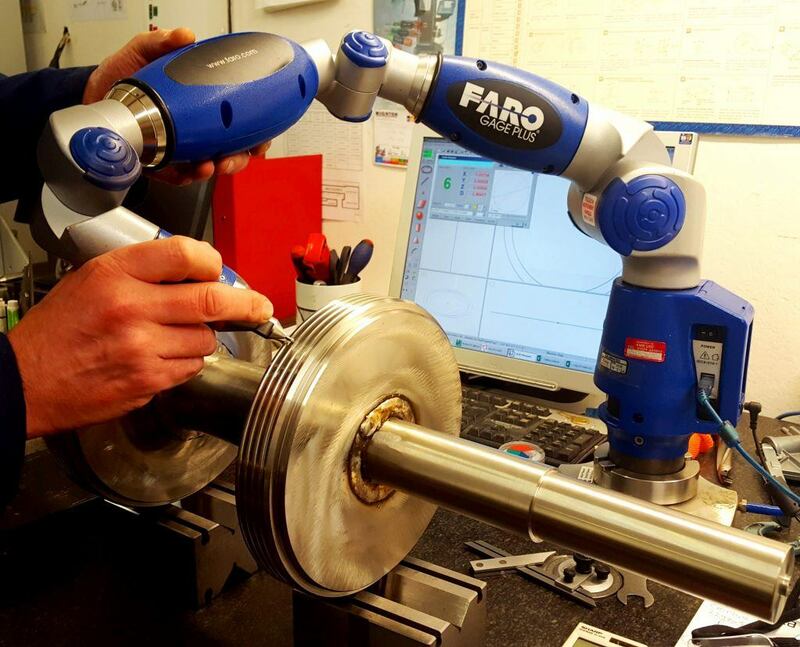 Alongside more traditional inspection methods with callipers and micrometers we utilise FARO 3D coordinate measurement technology to provide accurate dimensional reports and also offer dye-penetration testing to check all materials and welded structures for many faults otherwise invisible to the naked eye. For liquid penetrant inspection all our quality staff are trained and qualified to level 2 – ASME V SE 165, covering castings, forgings and welds.